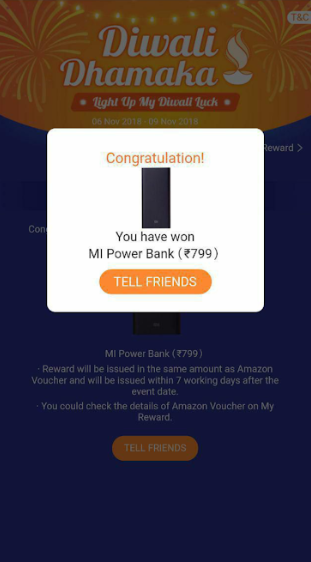 Amazon Gift Voucher and Mobile Recharge of Rs 50 are currently available now. Hurry up and claim before they are 100% redeemed. 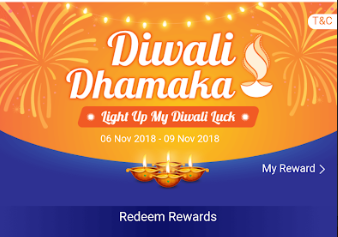 How to participate in Shareit – Diwali Dhamaka offer ? 4. Now open the app and enter the same mobile number as given above. 5. Lighten the first dia. 6. Complete the following tasks to Lighten up all other 3 dias. 7. Hurray you have lightened all the 4 dias and can now claim the prizes available or wait for other bigger prizes to go live and make sure you redeem them immediately as soon as they start as the available quantity is limited. 8. 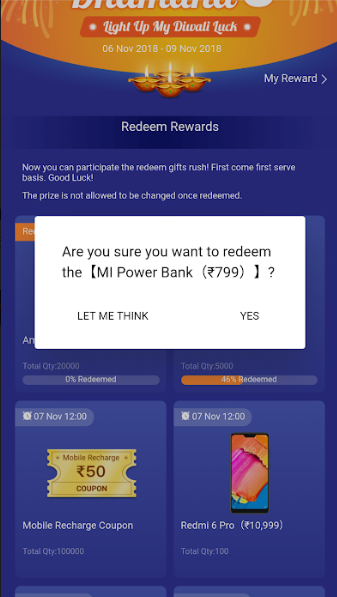 The rewards will be processed within 7 days. 9. 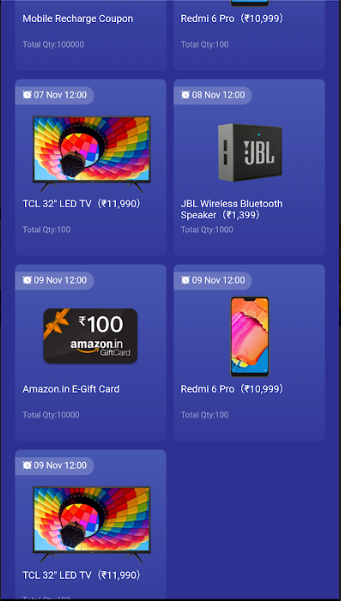 Enjoy the super loot and Shareit with your friends.